Thank you for allowing Pacific Northwest Title the opportunity to provide exceptional educational program and informational materials to assist you in your road to success. We are proud to provide around the clock access to real estate related links. We offer a self-service Net Sheet calculator designed to help you effectively estimate your seller’s net proceeds. This calculator is available 24/7 for your convenience. Closing Tracker allows you the opportunity to have 24 hour access to information on your open transactions. Need to research property after hours, use our 24/7 access to Property Space. Property Space is an easy online search tool that provides you access to: Property Characteristic, Aerial Imagery, Assessors Maps and Comparables. Contact Customer Service for your id and password at CustomeService@pnwtkitsap.com. Services require a user login for billing purposes. ReiSource allows you the ability to generate leads that will increaseyour sales and improve your business. Contact your Sales Representative for more information. Real Quest allows you the ability to research property profile, demographic and comparables online. As well as access to AVM, Lien 360 and Homestand reports. Contact Customer Service for your id and password at CustomerService@pnwtkitsap.com. Services require a user login for billing purposes. 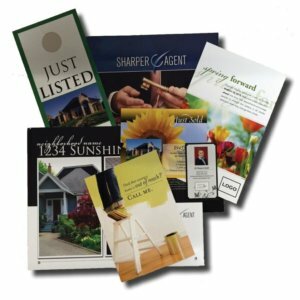 Sharper Agent is a simple and effective tool that helps build leads through constant markering and client relationship management. This tools includes email markerting, print marketing, contact management, online marketing and auto campaigns.